We have built some cool applications for great customers. Take a look at some of our recent solutions – for small, medium, and large business. A brand is not just a logo. Bickford leverages brand like no one else. 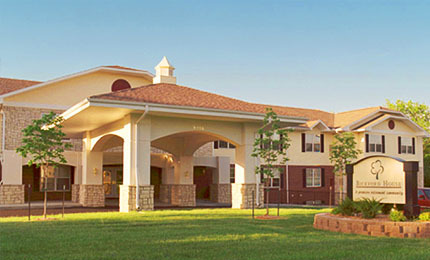 The website for Bickford Senior Living serves as the site for the corporate headquarters plus each of the 40+ branches in nine states. There is a custom communications tool for use by residents and their families. The site includes alternate content presentation for smartphones. 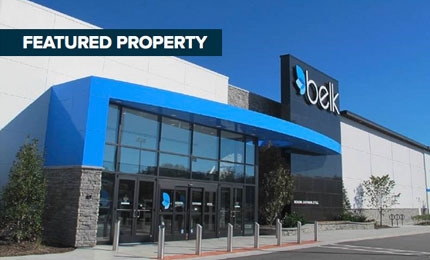 Behind the scenes, the Bickford site includes customer relationship management (CRM) tools, an installation of Versionary, staff management tools that tracks and schedules new hire training, and much more. Naturally Slim chose Dialogs to power their latest web presence. Naturally! 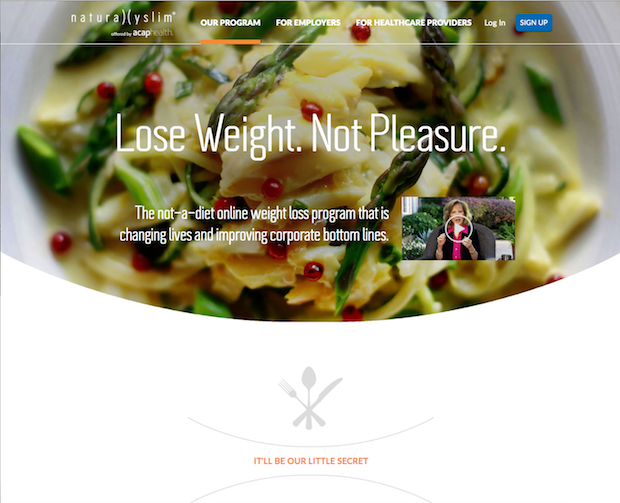 Naturally Slim commissioned a responsive design, long-scrolling refresh of their website to dovetail with a marketing effort to bring this life-changing program to even more people. 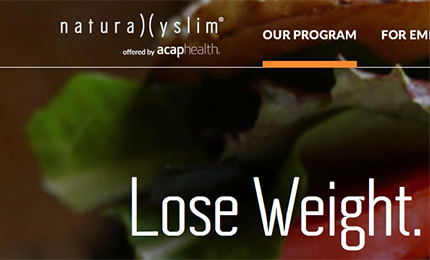 We partnered with Naturally Slim's creative firm and in-house marketing department for this project. The simplified message targets three specific markets: individuals, corporations purchasing the program as an employee benefit, and health care providers who recommend the program to patients. Clever animations help readers visualize the impact this program can have on improving health. This is the second version of NaturallySlim.com using DialogsCMS. 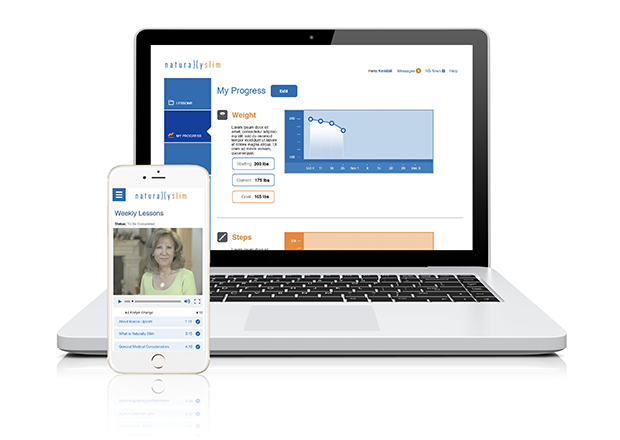 Access the most successful weight loss lifestyle training program wherever you go. 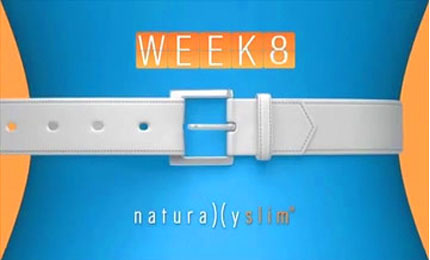 Naturally Slim is a national weight loss program sold as a corporate wellness program. The learning management system (LMS) portal is fully responsive design to allow learners access to the program wherever they go. The system includes a full LMS including quizzes, tests, and surveys. There are tools for tracking and analyzing weight and activity over time. The system supports access from web and a mobile app. Councelors monitor learner progress from a comprehensive dashboard and engage with learners through in-system, email, and SMS messaging. 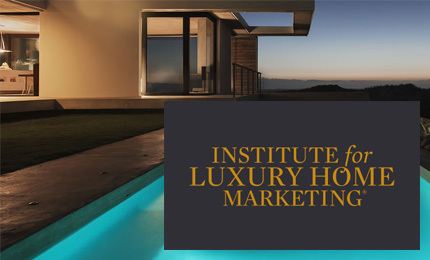 The Institute for Luxury Home Marketing teaches how to sell big. They went big with us. 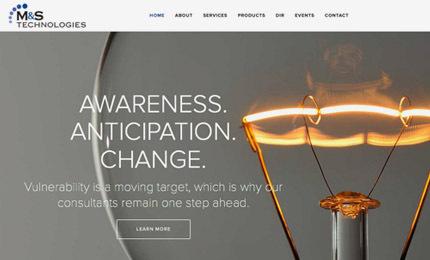 We partnered with the Client's marketing firm to redesign this long-standing Dialogs-powered website with responsive design. 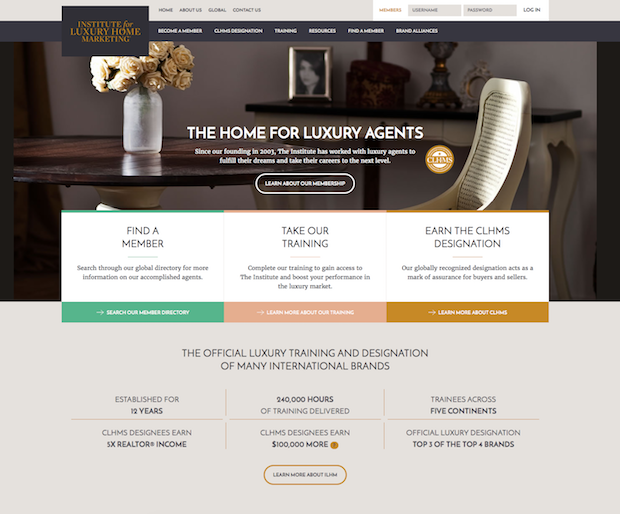 The Institute for Luxury Home Marketing has been powered by Dialogs for over a decade. This refresh features a story-telling long-scrolling home page. Dialogs CRM powers all aspects of member on-boarding, membership maintenance and life of membership communications. 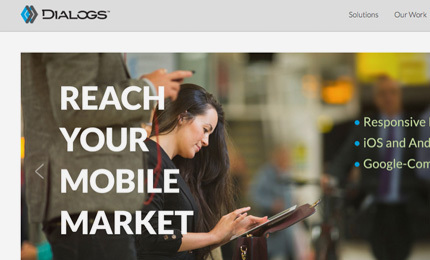 Dialogs eCommerce drives membership, training, and merchandise purchases. Showtime makes the shows people want to see. Dialogs makes them easy to find. 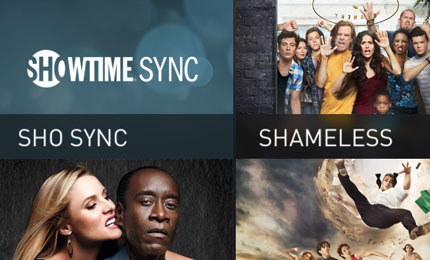 The Showtime Sync mobile app presents all Showtime Original Series programming into one easy location for viewing. Each series is broken out into seasons. The Dialogs-powered backend aggregates the content from several feeds from Showtime. 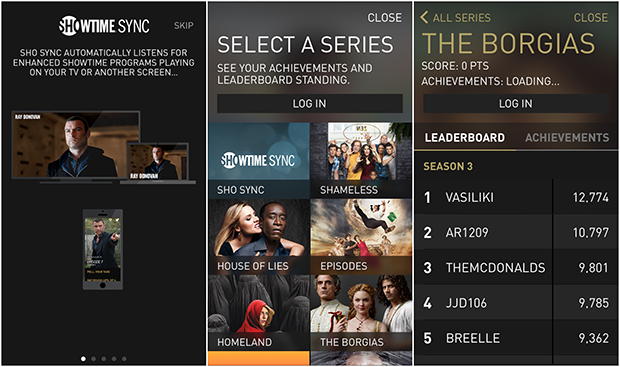 In addition to video content, there is a points system where logged-in users get points for viewing episodes, and those points add up to achievements. Want comprehensive tools to keep an eye on all your locations? 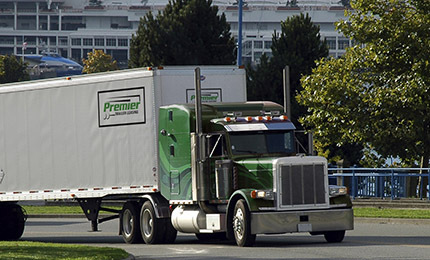 See what we did for Premier. Dialogs has built core business process tools that Premier uses daily to manage their business. The system includes a comprehensive marketing website, plus a variety of process tools behind a login. Customers can review their accounts, including invoices, insurance and registration documents, repair charges, and much more. Branch locations can see aggregate reports for their branch, and corporate can see aggregate reports company-wide. The portal connects to the third-party GPS tracking service and integrates with their third-party accounting system. Franchising is huge for 7-Eleven. Dialogs is huge for 7-Eleven. 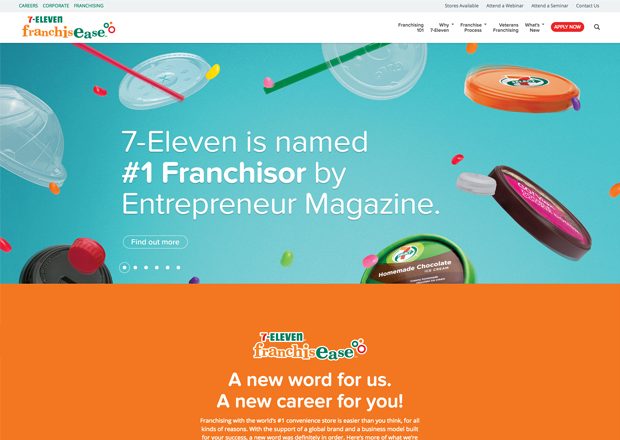 We partnered with 7-Eleven's creative firm to bring responsive, long-scrolling design to 7-Eleven's Franchise website. The website design distills dozens of traditional web pages into a more precise, compelling message told in six long-running pages. The site is fully responsive with tasteful animations to bring interest and engage the visitor. Strategic calls-to-action embedded within the pages entice the visitor to start the process of becoming a franchisee. Dialogs feeds stored data into the website from corporate data sources and facilitates the transfer of applicants into 7-Eleven's FranConnect applicant portal. Help prospects connect with your sales reps. See what we did for SEI Fuels. 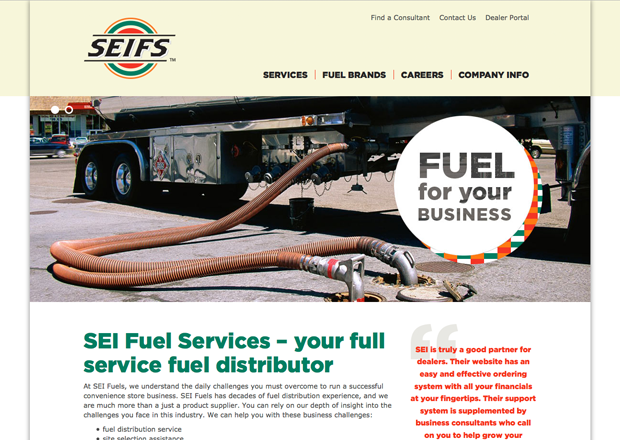 The SEI Fuels website serves as a marketing tool directed to convenience store operators throughout the country. The site contains a consultant locator that helps prospects get in touch with the rep in their area. There is a client-managed photo gallery system for dealer recognition trips. SEIfuels.com is fully responsive for easy access on mobile, tablet and desktop. 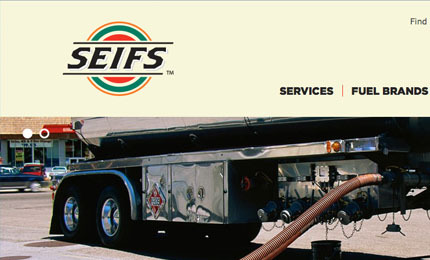 SEI Fuels is a fuel distribution company and wholly owned subsidiary of 7-Eleven, Inc. In the heart of Ft. Worth lies a vibrant community of residents and business brought together by Dialogs. 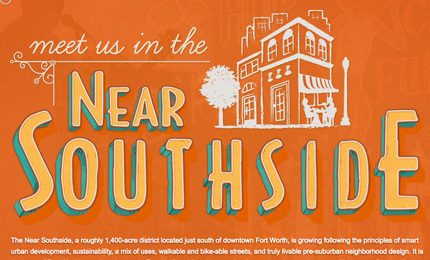 The neighborhood of the Near Southside in Fort Worth is home to thriving local businesses, restaurants, and residents. 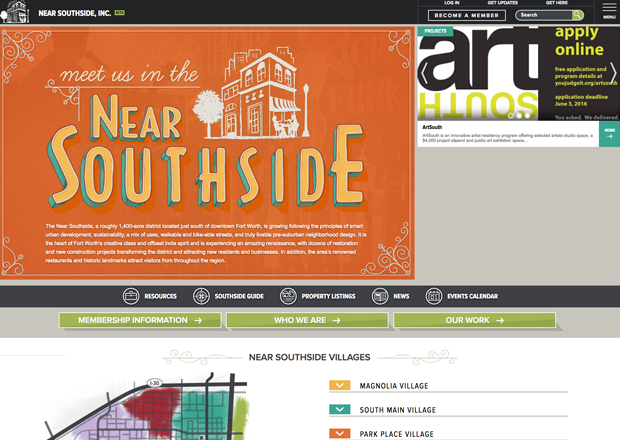 Near Southside, Inc. is a private 501 (c)(4) organization dedicated to promoting and revitalizing their community. They use their Dialogs-powered website helps run everything from membership management to community-driven directories and activity guides, event registration and payment, and even local real estate listings. 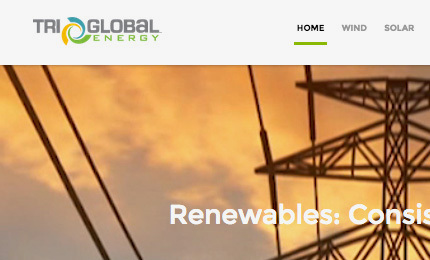 A contemporary website that brings energy to an energy company. 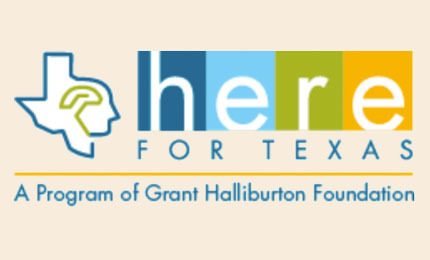 Tri Global Energy is a Texas-based firm dedicated to responsibly harnessing energy with a focus on sustainability and community involvement. 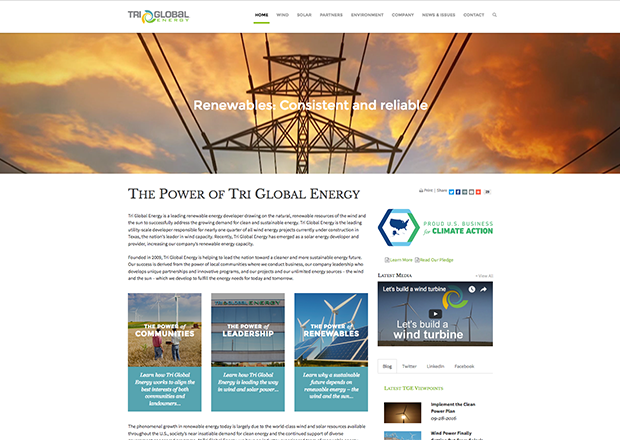 Tri Global's custom, responsive design website is a showcase for their capabilities. It includes an interactive map of active projects, an in-depth archive of press materials, and a call for active participation in Tri Global's mission. They have easy-to-use content management and the ability to expand their website in the future. Everything a band needs to keep the fans connected and the fan gear flowing. 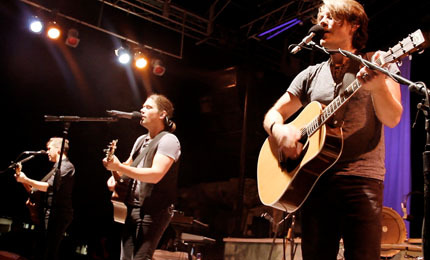 The Hanson website has everything fans need to stay connected with the band: fan gear, forums, blogs, galleries of videos and photos, music downloads, fan club memberships, fan achievements, event calendars, meet & greet sign-ups, and much more. The ecommerce, inventory control system, and fulfillment include robust order and return tracking, U.S. and foreign shipping options, delayed pre-orders for upcoming products and music, flexible product bundling – everything a band needs to keep the fan gear flowing. M&S Technologies delivers technology and training. 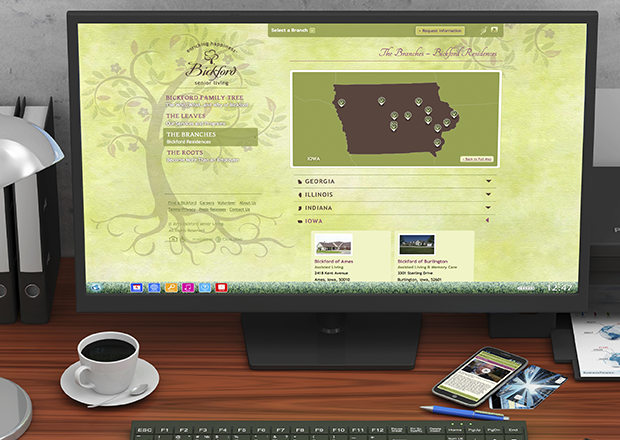 DialogsCMS delivers their story in a brochure-style website. 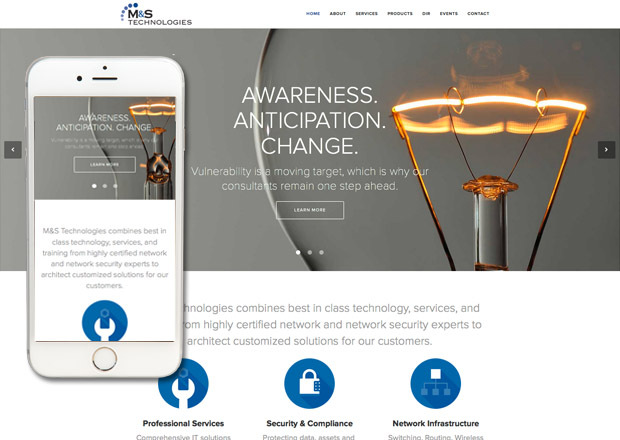 M&S Technologies provides technology, services, and training. What they don't do is rely on their website for leads. All they need is a fairly basic website, with limited page content and a contact form. The site does include integration with Google Maps and an RSVP form for live events. The responsive design yields optimal mobile user experience, and the project included basic custom design. They have easy-to-use content management and the ability to expand their website in the future. AXIS helps surgeons protect neural structures. We help AXIS tell that to the world. 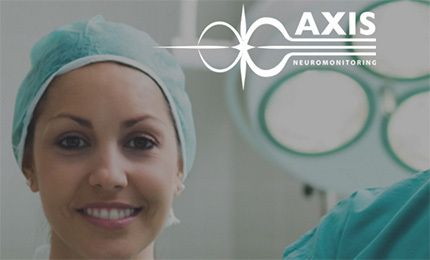 The AXIS Neuromonitoring website is a smart blend of rich user experience and useful information. 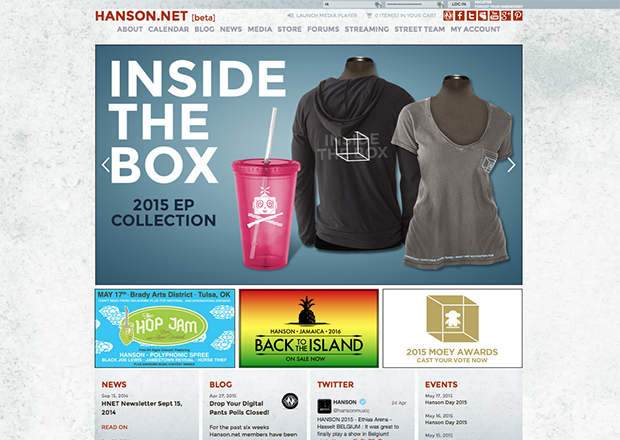 The site is mobile-friendly by displaying content in fully responsive design. Content includes news, a blog, videos (that play in all browsers – desktop and mobile), and marketing content. There is also a secure portal that includes expanded educational resources, HR documents, and sales support materials. We built a single-sign-on (SSO) with Salesforce – users log in to Salesforce and are also logged in to the website control panel, which simplifies user account management. 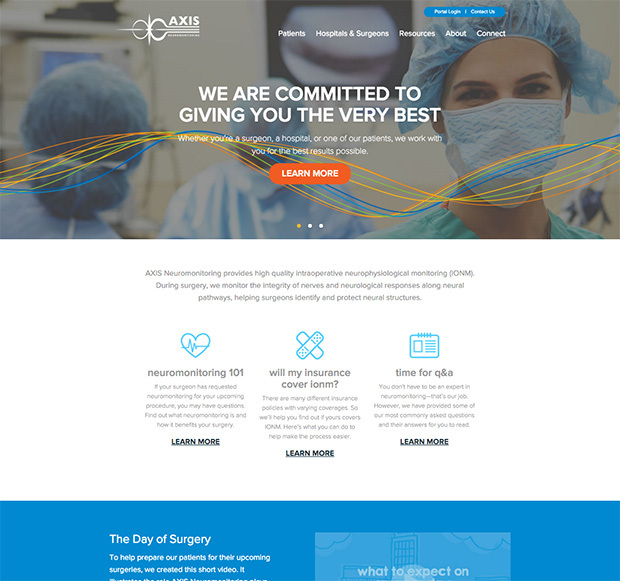 We transitioned AXIS Neuromonitoring from a flat HTML website to the most powerful CMS available. 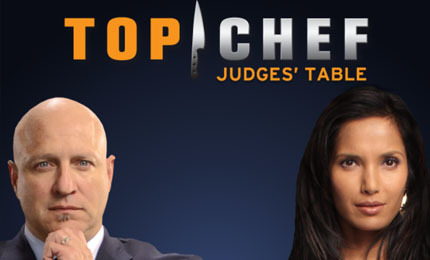 Fans of Top Chef got to write their own food critiques and share them with friends. Dig in! 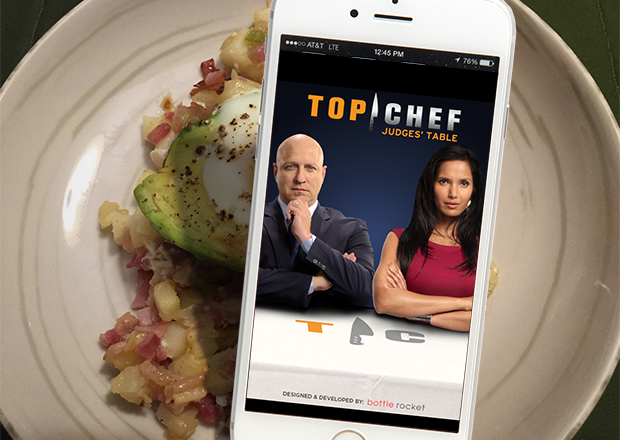 This mobile app was a supplement to the Food Network's Top Chef competition series. Food fans used the app to rate food at restaurants. Each review consisted of a photo of the plate, a ranking and an appropriate quote from the show. Users could share reviews as well as search for reviews for specific restaurants. A map integration allowed users to look for reviewed restaurants near them. 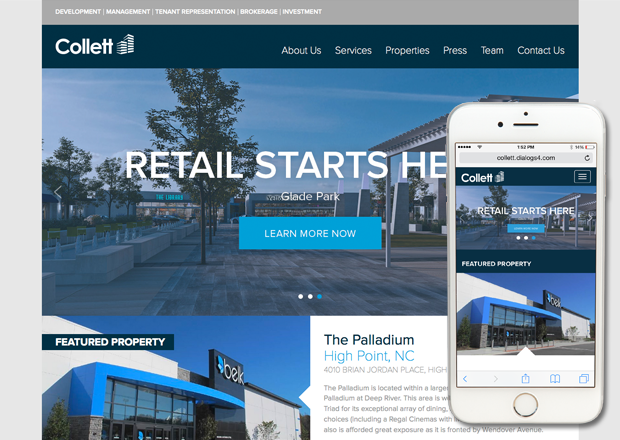 The Collett website contains detailed information about the hundreds of properties they lease and/or manage. The property listings can be searched and filtered easily by site visitors, making it simple to find the perfect location. The site is fully responsive, so all slideshows, property listings, and forms can be viewed easily on smartphones and tablets. Does your ecommerce need more than a simple cart? Plustar.com shows off the power of Dialogs. 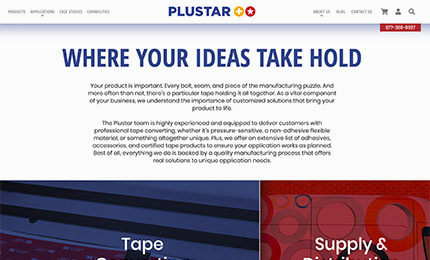 Plustar.com is a B2B ecommerce system that sells tape and adhesive products – over 35,000 SKUs. The backend manages imports for product updates from multiple manufacturers. 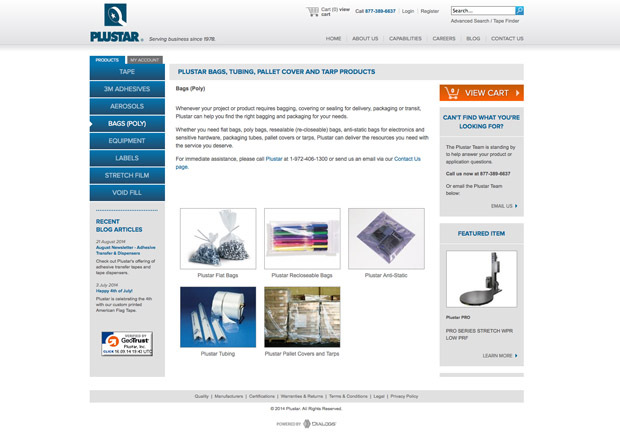 Plustar offers customers five quantity price breaks, which means they have approximately 175,000 prices in their catalog. They can choose multiple products and assign one photo instead of manually opening every product record. A pricing calculator determines the quantity price breaks with a pricing dashboard that flags products as priced too high or too low. 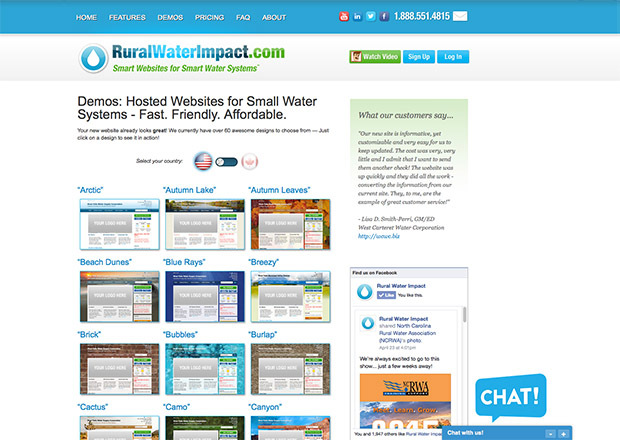 RWI is a SaaS system that sells specialized websites. Dialogs makes it possible. 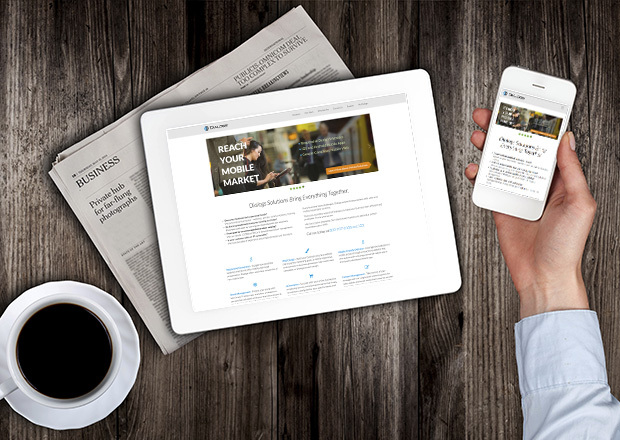 RWI sells ready-to-launch websites to a specific vertical market. 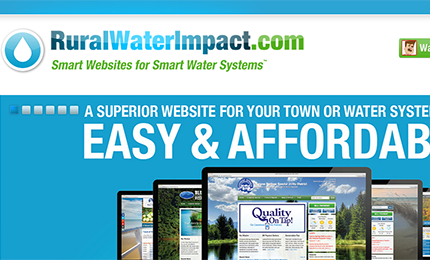 Utilizing Dialogs SaaS Builder™, RWI can quickly sign up a new water district customer, assist them with choosing a stock design from a catalog of templates, and quickly launch a complete website that is pre-configured to include all required elements icluding bill pay. The RWI website itself includes an ecommerce ordering system. Our own website is contemporary and fully responsive – just what Google is looking for. Our own website is a great example of how easy it is to refresh the design of a Dialogs-powered website without starting from scratch – this is the fourth design applied to the same backend. The current look of the site is fully responsive, with multiple Bootstrap size breaks to optimize the presentation for large desktop monitors, tablets of varying resolutions, and smartphones. We avoid Flash and other out-of-date technologies that are not mobile-friendly, giving us a top rating from Google's mobile grading tool. 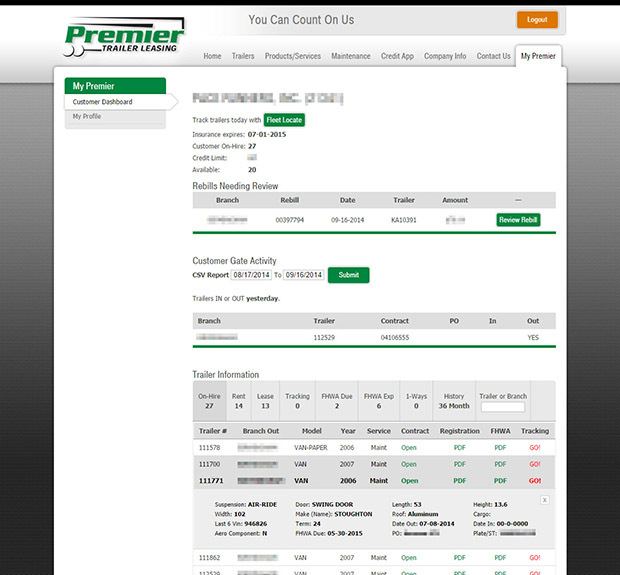 In addition to what the general public sees, there is a comprehensive customer portal where our clients can see daily work summaries, past invoices, and all contract documents. We also offer our customers convenient ecommerce for buying software licenses and paying for our services. Hidden from all public view are our CRM tools and a robust project accounting system that tracks budgets, integrates with a third-party project management tool, creates estimates and contracts, and much more. 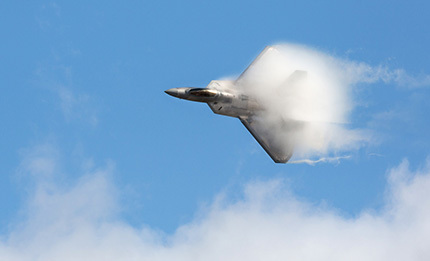 Code One Magazine has enough cool content to fill a C-130. We make it easy for fans to find what they're looking for. 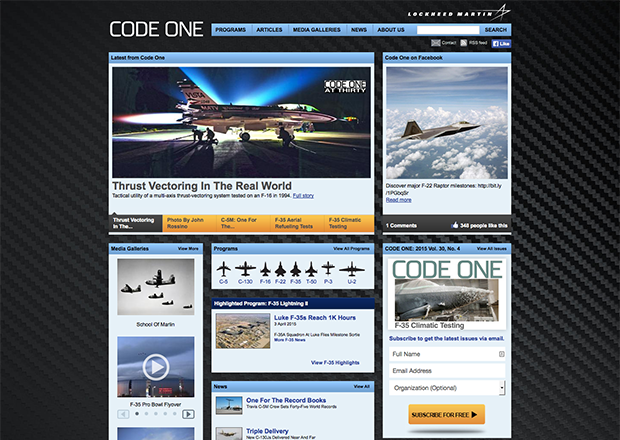 Lockheed Martin moved its Code One Magazine from a print-centric publication to web-centric application and chose Dialogs Framework as the platform. An archive of many years worth of content was migrated into Dialogs. They wanted site visitors to be able to locate very specific information from a vast online library of photos and articles. The "Media Galleries" section has a comprehensive set of filter tools to help site visitors find what they're looking for. Non-profit agency directory brings valuable information to the community. 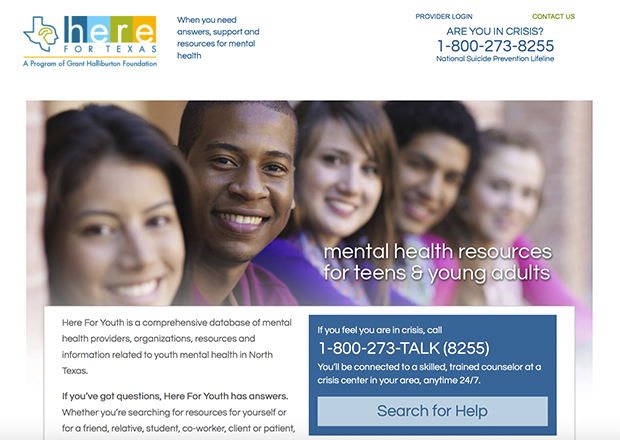 Here For Youth is a comprehensive directory of mental health providers, organizations, resources, and information related to youth mental health. Each provider can manage their own complex profile. Publishing a listing goes through a workflow for approval before it's visible to the public. Site visitors can search for resources by keyword search or by paring down the directory data using dozens of filters. Search results are displayed on a Google Map. An interesting note about this project: the client had in-house design capabilities so the design was handed to us as page layouts in Photoshop format, and we wrote the HTML/CSS code and applied it to the site templates. Bickford's branch locations share a library of collateral that can be easily personalized.